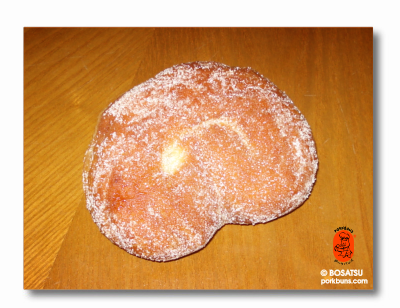 MMMMMMMMMM… PORKBUNS… aka Doughnuts of the East. 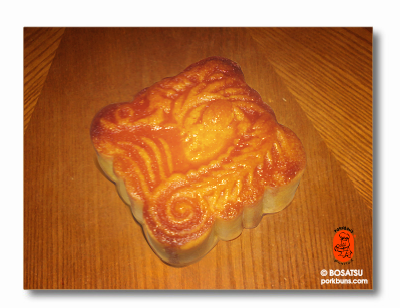 They come in all shapes & sizes and many delicious flavours, and can be found in any half decent bakeshop across Chinatown. 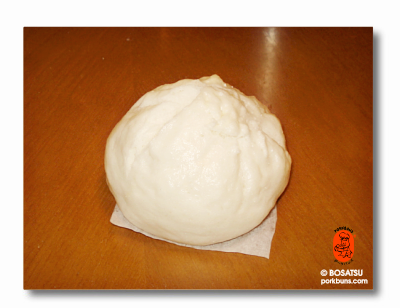 Some don’t even contain any traces of “pork”, yet are mistakenly labeled as “porkbuns”. 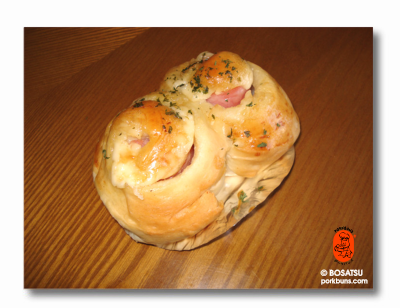 This page not only serves to familiarize and educate you with the popular members of the porkbun family but also tantalize your tastebuds with juicy mouth watering pics. If you enjoy torturing yourself, read on! 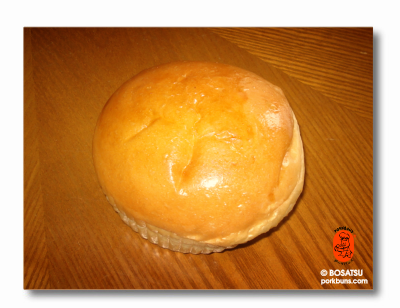 The original porkbun stuffed with a secret pork filling looks fluffy as a cloud. As loved by Yuuka and millions across Asia (and soon the world)! 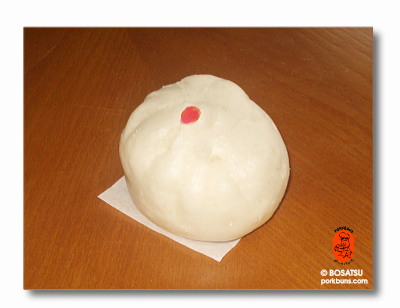 A classic snack of Cha Siu Bao (ie. 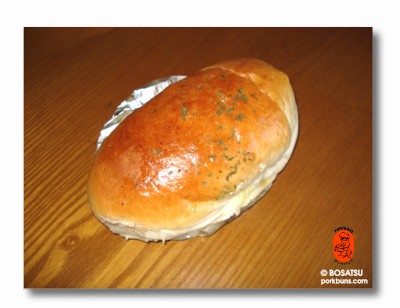 roasted barbecue pork for our non-Canton speaking friends) enrobed in a toasty wholesome bun! There’s nothing fishy about this culinary treat… except the generous helpings of tuna and ample gobs of mayonnaise stuffed inside! This sesame speckled beast is bursting with chicken and marinated in a sinful creamy mushroom goop your stomach will love. 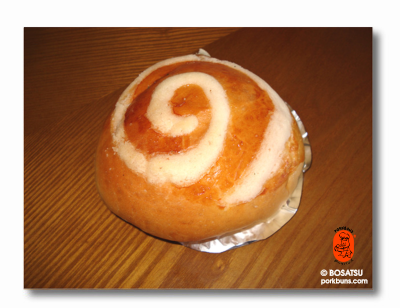 This bun sporting a swirl reminiscent of the ‘Dreamcast’ logo contains no sweet dreams, but instead a sweet bean paste which is very yummy. 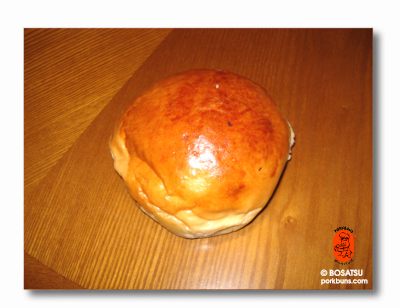 This tasty bun is so oily from pig fat it should come with makeup removal pads instead of napkins. 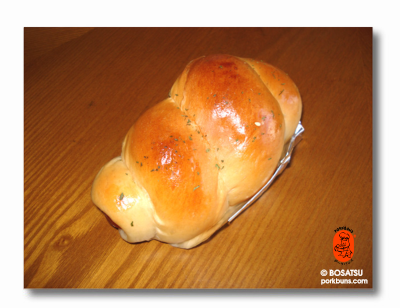 This bun is like eating a sausage in a skinny edible beehive. Also known as ‘Pig in a Blanket Duvet Down Sleeping Bag’. 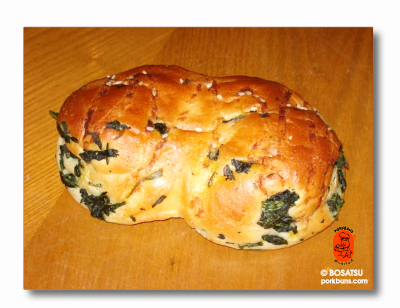 This is the perfect bun for friends that love their food spicy! 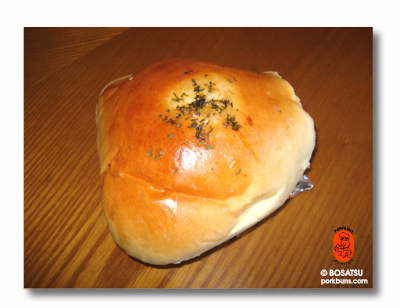 It also makes the perfect bun for frenemies that don’t like their food spicy. 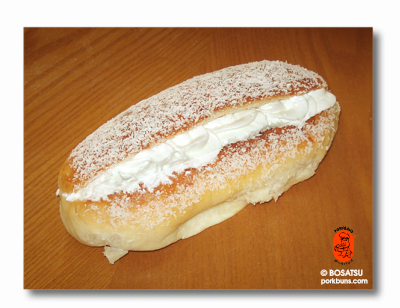 A luscious soft bun filled with a fluffy light whipped cream, brushed with coconut flakes. 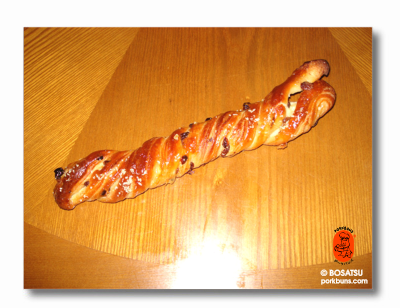 Thanks to Cafe Cochon™ for the sample! The bigger badder cousin of the Porkbun. 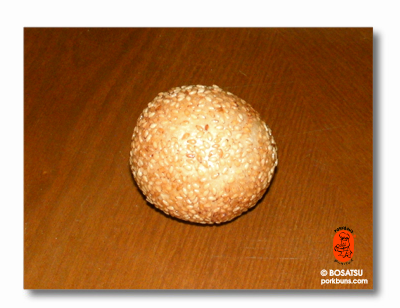 A delectable snack stuffed full of ground beef, not to be confused with the other kind of ‘Beefbun‘. Also known as the ‘Oscar The Grouch’ bun. Seriously, this treat looks like it fell out of a trashbin and stepped on – but it sure tastes good! You’ll want to dance to this disco ball of yellow bean paste, wrapped in a sparkling sheet of deep fried dough and glittering with sesame seeds! 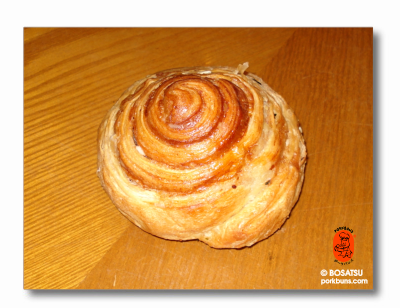 An oriental variation of the popular western cinnamon bun. Rolled in honey, chopped nuts and you guessed it… CINNAMON!! 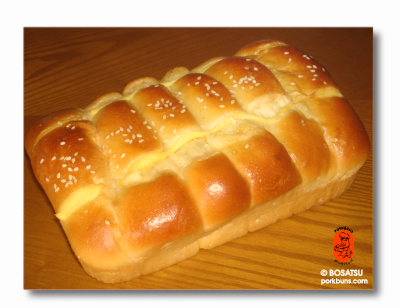 An eastern take on a classic Canadian sweet bread. Soaked in cherry blossom syrup and powdered with sugar, the only thing missing is a ‘Bite Me’ sign! 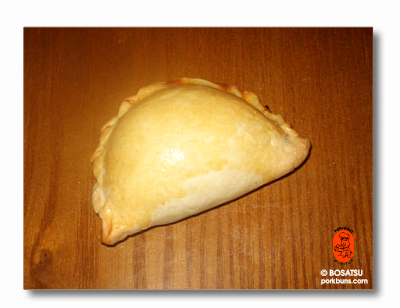 An alternative snack with a mushroom and pea filling, for vegetarians and healthnuts who prefer to snack without a big wad of meat in their buns. These seasonal mid autumn cakes might not have been made on the moon, but eating them will launch your tastebuds into space! 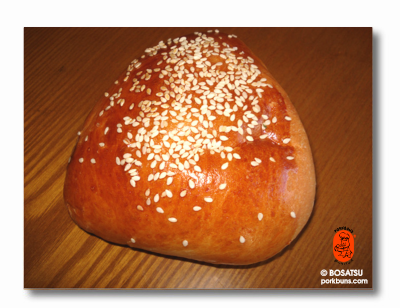 A set of perforated buns drizzled with a sweet bean paste and topped with sesame. Perfect as an after dinner treat for the entire family. 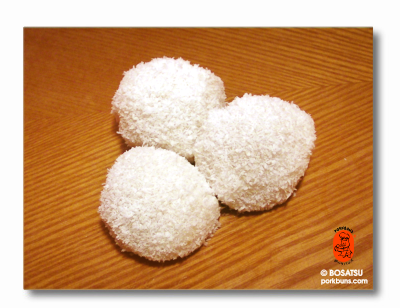 Mini glutinous snowballs filled with red bean paste and sprinkled with shredded coconut flakes. You’ll want to throw them – right into your gut! A pyramid of potatoes, peas and onions smothered in Indian spices and deep fried in crispy dough. What Columbus originally set sail for. 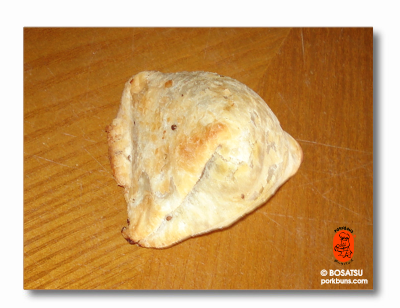 You’ll turnover in your grave for one of these thick shelled, savory pastries filled with finely ground beef, pork and oniony goodness! These sticky rolls are so ridiculiciously tasty they should come with a surgeon general’s warning. They are that addicting! 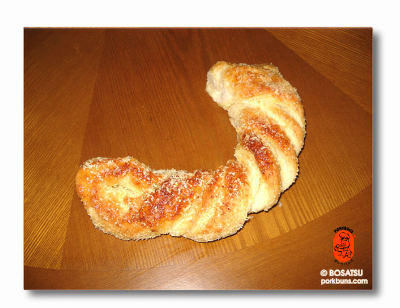 Sweet twisty dough covered in shredded coconut w/ essence of yellow bean – a creation concocted only in bakery heaven. 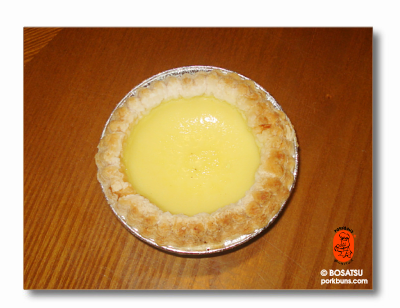 These addicting mini custard pies are very popular in Hong Kong and guaranteed to leave you with a big smile (and possibly egg) on your face! 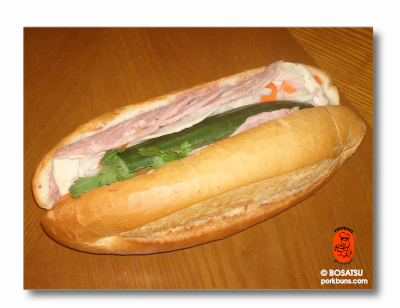 A refreshing Vietnamese submarine made up of a toasted baguette, cucumbers, pate, Asian deli meats, carrots, daikon and cilantro. Drool! !